The Internet is now so widely used around the world that our modern era has been called the “Information Age”. The Internet is the main tool used by consumers to find out information, stay in touch with others and buy goods and services. Whole new industries have even been created in the last few years due to the rapid rise of our online lifestyles, and more established industries have had to quickly evolve to keep up. The real estate industry is one of these that has had to adapt and change the way it approaches marketing. Where traditionally, real estate marketing was done with newspaper listings, flyers and face to face meetings, the Internet has now taken over as the number one most important real estate marketing tool. The Macquarie Real Estate Benchmark Report for Australia in 2008 showed that 40% of buyer enquiries stemmed from an online listing. In the 8 years since then, that percentage had only increased and now makes up more than half of all search methods. While print media, referrals and walk-by’s are still important methods, online marketing has definitely taken over as the most successful component of any marketing campaign. Online listings are either free or incur a small fee, so it’s an affordable way to advertise. The beauty of online advertising is that you can list properties on multiple websites and capture a wide audience of potential buyers. This approach is the best way to promote your property, however there are a few other methods you can use too. Your own agency website, blogs, forums, RSS feeds, geographical location articles and email marketing are other ways you can showcase your listings to a wide and targeted audience. It’s important to remember that keeping your clients engaged is vital if they are going to pay attention to any of your marketing efforts. One of the best ways to gain and maintain this engagement is through online real estate newsletters. Newsletters can showcase some of your current listings, but you’ll have a better response if you include interesting and useful information such as upcoming local events and community information. Similarly, a real estate blog will help you increase engagement and get the most out of your online marketing efforts. When you maintain a blog that features unique and interesting information, it sets you apart from other agencies that are not using blogging to its full potential. It’s essential to create the right marketing strategy for the property you are listing. The Internet is the best resource for advertising a property (and statistics back this up), but simply listing an online advertisement is not enough. The best approach is to use multiple online methods, and combine an online listing with blogs, social media, real estate portals and email marketing. Traditional marketing methods are still worthwhile doing, and it’s important to establish relationships with potential buyers, follow up on enquiries, do your market research and style the home to make it look its best. 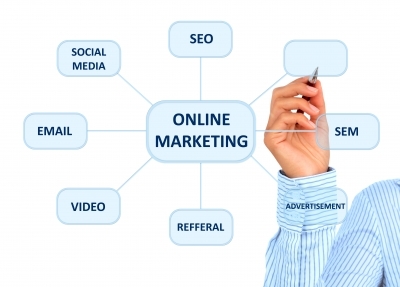 Online marketing requires very little time, money and effort compared to other forms of traditional real estate marketing, and is the main component to focus on for a successful sale. If you embrace all the online methods available to you and maintain a holistic marketing approach, you’ll have the best chance of selling a property and having a happy vendor and new home owner.